Mural done by Steve Hamilton. 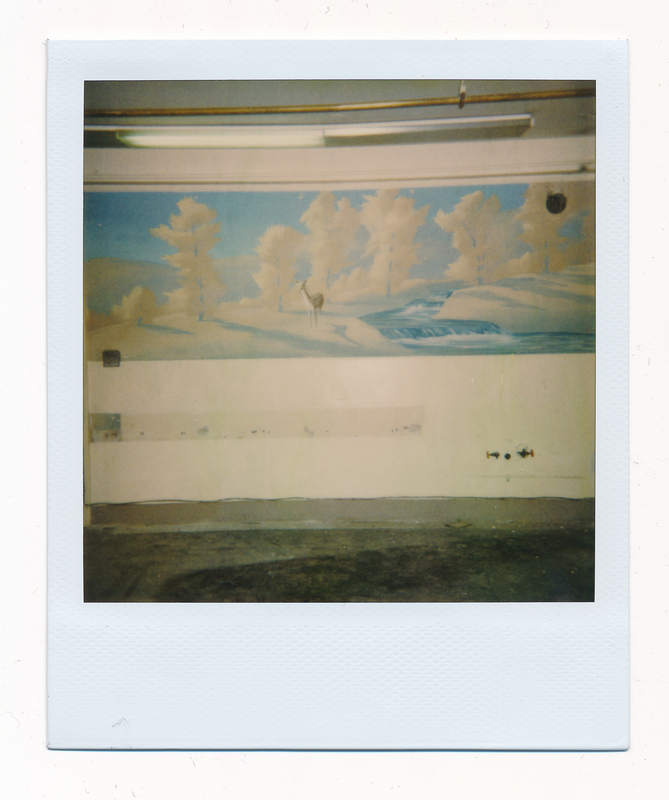 The mural is of a deer with some trees by a stream. The caption on the back reads, "Mural by Steve Hamilton wall removed in construction, Basement, west 9/21/92"
“Mural by Steve Hamilton in Jones Library,” Digital Amherst, accessed April 24, 2019, http://digitalamherst.org/items/show/1943.